9 Incredible Foods to Prevent and Reverse Hair Loss - Weakness is a Choice. Hair loss can affect all men, women and even children. 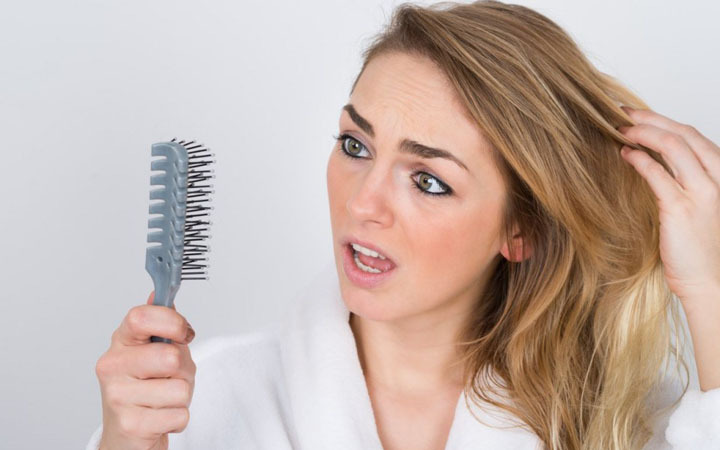 There are various causes behind hair loss, including chemotherapy, stress, thyroid disorders, low iron…etc. But the major and common causes are your genes, your nutritional status and the androgen hormone, dihydrotestosterone (DHT) which derives from testosterone. Hair is made up of a protein called keratin, which is produced in hair follicles. Old cells are pushed out through the skin as follicles produce new hair cells. And that’s how hair grows. DHT is the hormone behind hair loss, and is five times more potent than testosterone. It causes the hair follicles to shrink, have shorter lifespan and it also reduces the hair production.